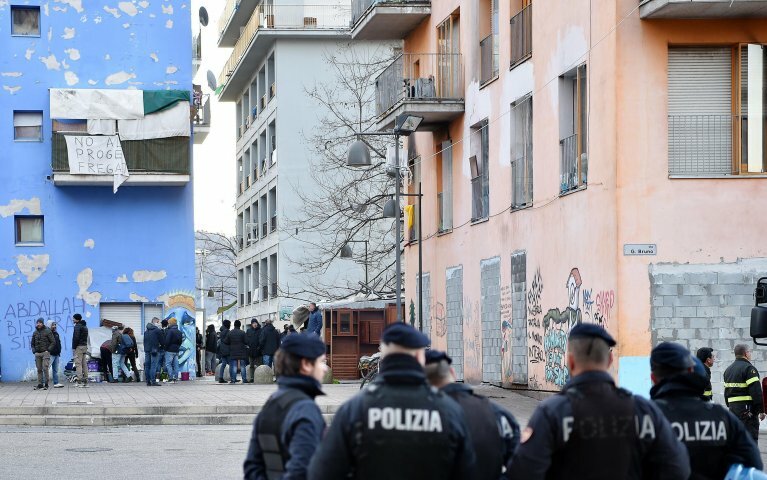 A 28-year-old migrant from Gambia who had lived for years in the occupied former Olympic village in Turin called the ex-MOI hanged himself at a reception house run by the Diocese of Turin. Turin Archbishop Cesare Nosiglia said the migrant, Gaye Demba, took his life due to "interior wounds that we weren't able to heal." He said his death should "force us to reflect on the many wounds...that he and many other migrants have." Gaye was living legally in Italy and had been staying at the ex-MOI structure until it was first evacuated in November 2017. At that time the Diocese of Turin took him under its wing, together with other migrants in the same situation. Sergio Durando, director of the diocese's pastoral care of migrants, said Demba was "a kind man, liked by all." "Unfortunately he had severe depressive tendencies, and had already tried to take his life a few months ago." After that episode, Durando said that directors at the diocese had asked for him to be looked after at the psychiatric care facility at the Mauriziano Hospital. On being released, he seemed better, but unfortunately he wasn't. " He even knew he was suffering, because he had agreed to undergo special treatment for this type of disturbance," Durando said. The community of the diocese has been deeply affected by Demba's death, both the workers and his African friends who lived with him and who had rallied around him in recent months "to protect him from himself." Durando said Demba was "collaborative. He had participated in various training courses, in particular a carpentry workshop, and also in work projects, such as a recent cleaning job at the gardens, implemented by the San Giulio d'Orta parish." "This man's gesture forces all of us to reflect on the inner wounds that marked him and many other migrants like him," Nosiglia said. "These are the same wounds and the same fragilities that each of us is exposed to. Fragilities that don't depend on the color of your skin, or your passport, or your bank account. I ask everyone to help contribute to growing a climate in our city that isn't one of hate, nor of rejection, nor of fear, but rather of reciprocal welcoming, attention, and respect," he said. Although Demba was alone, it seems he had a cousin in Milan. "We are trying to contact him," Durando said. "Gaye had difficulties that he brought with him from a long time ago. He had a deep interior torment that we tried to contain in every way we could. That's why his death is particularly difficult to process, including among the workers, who had made a strong human investment to help him," Durando concluded.